The Tea Party fired the criminal head of the IRS today. The next step is to get to the bottom of who put Lois Lerner up to targeting to it. We know she knows; why else will this hussy invoke the fifth amendment? There is not other way to define this female dog for what she did to us. Now the IRS will have to pay up. Any employee of the United States government who takes the fifth should be immediately fire and relieved of their benefits and pension. Because they work for us, they are our employee, we pay them and expect that they answer any question relevant to their work to be answered. In private industry they would be given the ax in a microsecond. Lois Lerner and the IRS said emails and paper trails did not exist. Months or was it years later, the Koskinen guy was forced to produce them by a federal judge. But conservatives are intent on exploring Mr. Koskinen’s actions after the IRS was ordered to preserve and turn over documents related to targeting of tea party groups — and particularly emails from former senior executive Lois G. Lerner. Mr. Koskinen’s accusers say he failed to comply with a congressional subpoena on those documents, and instead allowed backup tapes of the emails to be destroyed. He also said his agency was unable to find the backups of some of Ms. Lerner’s emails — but the IRS’ own internal auditor was able to discover thousands of them with little effort. The internal auditor concluded that the agency erased 422 backup tapes that should have been protected by the subpoena. Magicians, liars and clowns under the Democratic tent have saturated the deep state to such an extent we will never know the full truth; all of them cover each others asses. This bring us to another lying Democrat, Loretta Lynch. The chief law enforcement officer under Obama, a lawyer sworn to tell the truth, lied like a five year old kid with his hand in the cookie jar. The tarmac meeting with Slippery Willie. We often wonder what type of gun he carried on board Lynch’s plane. Conservative watchdog group Judicial Watch said Friday that the FBI has uncovered 30 pages of documents related to the controversial 2016 tarmac meeting between former President Bill Clinton and former Attorney General Loretta Lynch. The newly uncovered documents will be sent to Judicial Watch by the end of November in response to a Freedom of Information Act (FOIA) lawsuit, a spokesman for the group told Fox News. The tarmac meeting fueled Republican complaints at the time that Lynch had improperly met with the husband of an investigation subject, just before the probe into Hillary Clinton’s personal email use was completed with no charges filed. Fired FBI Director James Comey, in Senate testimony in June, described that tarmac meeting as problematic. Sending money down a rat hole is a Democrat priority; we give Solyndra as the quintessential example. Seven Hundred Fifty Million Dollars ($750,000,000) up in solar flames. The Donkey party patronage system paved the way for one of the largest scams in the past twenty years, yet no one was indicted. Why? The answer is simple, those involved in the scam were, shall we say, WELL CONNECTED. Big doners to the Democrat party get access to funds that the average Joe only dreams about. Bloomberg reported in 2011 that Solyndra’s $733 million plant had whistling robots and spa showers, along with many other signs of extravagant spending – all of this was on our dime. Continuing on the scheme to fleece America we advise any one of you to spend a day or two at your local Social Security Office. What to look for? Notice the people in line, do they look like you? The majority of which are there to run the Disability Scam. To collect Social Security Disability we advise you to check any numerous of these (click)websites out. In other words, any person who breathes can collect SSDI. Scamming America has never been higher. The number of people collecting social security disability is over 10,000,000. Over 61,000,000 people are collecting social security benefits one way or another. The facts are these, those collecting social security has never been so easy. The number of people on SSDI now exceeds the entire population of Greece. The aging of the population has nothing to do with the increase. In 1968 there were 51 workers for every person on disability. Today there are 13 workers for every person on disablity. Even the most pollyanna would agree that medical advancements since 1968 have been significant. These medical advancements would argue for less people being on disability and unable to work. Workplace safety measures have been increased exponentially since 1968, so that also argues for less disabled workers. The good old ADA law forced all workplaces to become disabled friendly. That argues for less people on disability. The country has transitioned from a manufacturing society to a service society. Workers don’t work on dangerous assembly lines anymore. Robots do the dangerous stuff. This should have dramatically reduced worker injuries and disabilities. Everything I’ve pointed out is true. The tremendous increase in people on SSDI is nothing but a gigantic fraud, perpetuated by the Federal government and slimy lawyers. The government broadened the scope of disabilities to include stress, depression, and non-diagnosable things like aches and pains. I have stress, depression and pains too, but I get up at 5:15 every morning and go to work. The SSDI program is a joke. More than half the people on SSDI are lazy good for nothing leeches. They are sucking you and I dry while sitting around eating cheetos, watching Judge Judy on their government subsidized cable TV, and texting with other lazy fucks on their iPhones. And don’t forget, you get the added benefit of Medicare coverage after only two years of SSDI stress. An 18-month investigation by a Senate subcommittee found that in more than 25 percent of cases reviewed, evidence confirming disabilities was “insufficient, contradictory or incomplete.” The staff reviewed 300 decisions in which individuals were awarded disability benefits by administrative law judges. A 2011 internal SSA report echoed the findings, showing a national error rate of 22 percent. Going forward, it is essential that Congress take significant steps to rein in SSDI’s growth. To do nothing — to continue to prioritize the able bodied over the truly infirm — is far worse. Some people in the United States have already filed their 2015 income tax returns — not because they are super-law-abiding, but because they want to get a check from Uncle Sam in the mail. 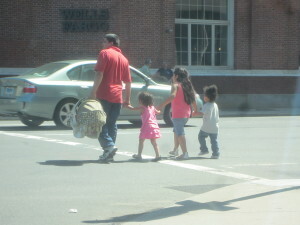 Some savvy illegal aliens, since they can get substantial tax breaks, will have filed by now. The first day that IRS accepted returns was January 19 this year — the deadline is two and a half months away, the usual April 15. This year there is yet another tax break for illegals in the tax system. Unlike citizen and green card workers who are not participating in Obamacare or another qualifying plan, who will be paying a penalty of up to $695 per adult (with a family limit of $2,085) for not joining the system, illegals without coverage pay no penalties. None at all. These penalties were much smaller last year. But the big attraction for filing early is not the new Obamacare tax break, which simply reduces the amount owed, it is the Old Faithful of tax breaks that illegal aliens can access: the Additional Child Tax Credit (ACTC). 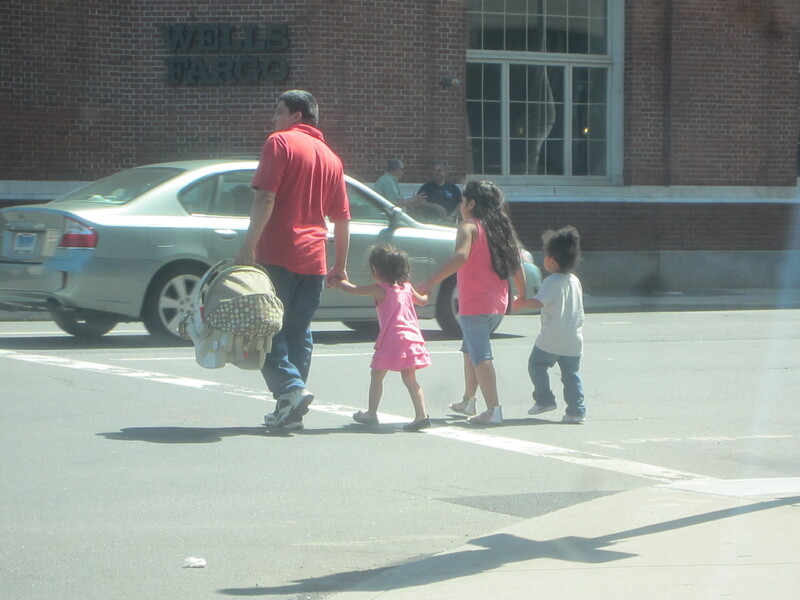 Illegals filing their income taxes can claim the ACTC if they have (or claim to have) children in the United States. This tax credit, unlike virtually all others, can result in a negative income tax payment. That means that no taxes will be collected from the individual, but he or she will get a check in the mail for all taxes withheld plus a bonus for the credit, as my colleague Jim Edwards has reported in the past. The ACTC is well worth filing for; it can be as high as $1,000 per child claimed and proving the existence of a child is all too easy, with an ID number issued all too casually by the IRS, as we reported a couple of years ago. This is now called the TIN (tax identification number) and, in the immediate past at least, it was issued in such a sloppy way that the process was roundly criticized by the inspector general of taxation for the Department of the Treasury. There are at least three kinds of children that an illegal can claim for the ACTC: actual citizen kids living in this country; actual children living abroad, but claimed to be living in the United States; and, at the bottom of the ladder, nonexistent children. The IRS has created a system that makes it very hard to distinguish between these three classes. A somewhat similar tax program, the Earned Income Tax Credit, requires a Social Security number for the claimed children, and thus is a bit harder for illegals to misuse. IRS earned income credit or EIC is another one of frauds committed by illegal aliens. Imagine my surprise when I found a pile of IRS 1040 tax returns among the tons of trash at a “lay-up site” used by illegal border jumpers near the Mexican border west of Douglas, Arizona. 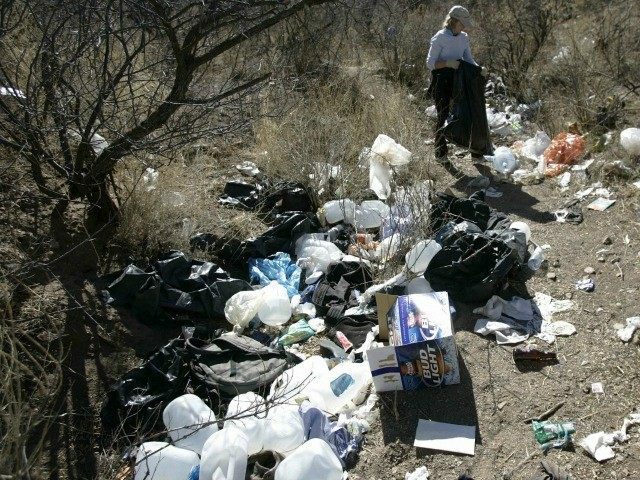 There are dozens of such places where the thousands of border invaders change clothes, discard trash and wait to be taken by their “coyote” to their pick-up location for moving on to Phoenix or El Paso or Houston. 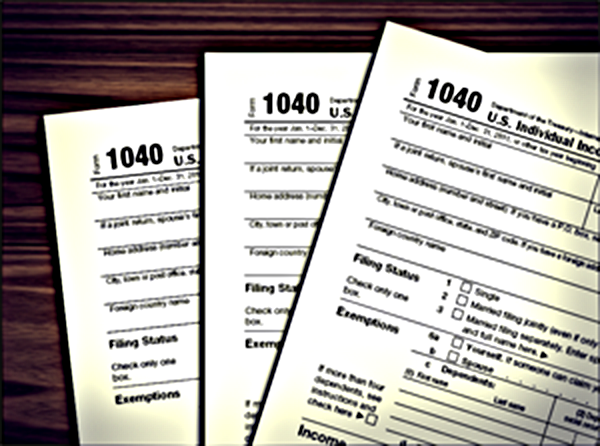 The IRS 1040 forms were filled out and had been used. Hey, who says illegal aliens don’t pay taxes? I collected the 1040 forms and we noticed all had claimed Earned Income Tax Credits and all also had claimed around nine deductions for children. The average refund was around $4,000. It occurred to me only much later that the American taxpayer may be funding the coyote’s $1,500 fees for smuggling poor Mexicans, Salvadorans — and Iraqis and Vietnamese — across our southwest border. When I sent the 1040 forms to the Social Security Administration and the IRS, I was told that the practice described in the FORBES article was the one being followed in dealing with these returns. I tried to amend the appropriations bills for the IRS to be the practice, but I got nowhere. My Republican colleagues didn’t want to hear about it and were ticked at me for bringing it up. Illegal aliens use “the system” to report income and also gain every possible “refund” the tax law — and IRS collusion — allows. Who can blame them when the welcome sign is in bright green neon letters? This FORBES headline should not shock anyone. The IRS collusion with illegal alien tax fraud is not a secret. Over the past decade, there have been regular news stories exposing tax fraud by illegal aliens– and IRS indifference to the scandal. The shocking thing is that the FORBES headline is not an exaggeration. The IRS knows illegal aliens are using stolen Social Security numbers and is glad they are doing it. But that is only the tip of the iceberg called illegal alien tax fraud. IRS Commissioner John Koskinen made the revelation in congressional testimony this past week, but no one was really shocked. The IRS wants illegal aliens working illegally to file tax returns and pay taxes on their illegal earnings like everyone else. So, the government figures it is a smart thing to make it easy for them to do so. The government doesn’t care whether the Social Security number used is stolen or not, it’s the tax filing itself that is important to the IRS. The IRS deliberately and unapologetically avoids telling you when your SSN is being used unlawfully by another person — or ten or twenty other people. But as I said, that IRS scandal is only the beginning of the story of tax fraud by millions of illegal aliens. Millions of illegal workers are filing tax forms not to pay their taxes but to claim and then receive refundable tax credits– that is, cash refunds– and those cash payments run into the billions annually. It’s politically correct in Washington, DC, to say that illegal aliens are willing, even anxious, to “pay their fair share of taxes.” It’s part of the mythology of the noble “undocumented worker” seeking the American dream. 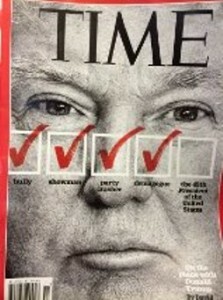 Even the Republican National Committee believes it. This week the RNC sent a fundraising letter to a few million prospective donors using the tired gimmick of a “poll” on critical issues. One question asked voters if they support legalization for illegal aliens if they meet a number of tests, one of them being “paying back taxes.” We all know illegal aliens are anxious to do that to prove they have earned the right to stay here and contribute to the economy. The problem is they already have a way to pay back taxes if they want to do it, but millions are doing just the opposite. Millions of illegal aliens are collecting refundable tax credits– that is, cash — by filing fraudulent claims. And the IRS doesn’t care. An April 2012 investigative report by an Indiana television station found numerous cases of tax fraud in the Child Tax Credit and Additional Child Tax Credits programs. Four illegal alien tax filers had used the same address and claimed a total of 20 children for refundable tax credits of up to $1,000 for each child. Only one child actually lived at the address, and the other 19 lived in Mexico and had never even visited the United States. That aspect of the fraud is in fact not really illegal: the child you claim on the tax form does not have to live in the United States. the child can be living with Aunt Rosa in Peru or Grandpa Felix in Algeria. The IRS response to the fraudulent payments? They refused to comment or to confirm any investigation and refused to meet with reporters to answer questions. IRS refusal to act on documented fraud by illegal aliens is legendary. For a decade the agency’s own Inspector General has complained of inaction by agency managers. According to reports of the Treasury Inspector General for Tax Administration (TIGTA), millions of illegal aliens are filing tax forms in order to claim refundable tax credits and receive billions in tax dollars — even if they have never paid one dollar in federal income taxes. Illegal aliens are accessing not only the Earned Income Tax Credit (EITC) but the Child Tax Credit (CTC) and Additional Child Tax Credit ACTC) to the tune of billions annually. And according to testimony of the Treasury Department’s Inspector General, the IRS has refused to take steps to curtail illegal aliens cashing in on these programs. You may be thinking that the government surely would take action if the tax fraud is costing the Treasury millions of dollars. It’s fraud on a small scale, right? Nope. It’s costing billions, not millions. While I was in Congress back in 2007, I tried to blow the whistle on this IRS partnership with schemes costing taxpayers billions. A brave IRS employee in one of the agency’s Western regional offices called my office and met with my staff clandestinely at a restaurant in the capital of one of our southwestern states. He offered concrete, credible information and internal reports that showed there was a huge problem– and that it was being ignored by agency management. His regional office team had studied a random sample of Child Tax Credit claims by tax filers using “ITIN” numbers– tax ID numbers given lawfully to persons who do not qualify for Social Security numbers but are employed and need to file tax returns. Their sample revealed a high rate of fraud which suggested widespread fraud involving hundreds of millions of dollars. But he and his regional colleagues could get no action from headquarters to investigate it further. Can you guess who blocked any congressional action to demand the IRS investigate illegal alien abuse of these “refundable tax credit” programs? The Congressional Hispanic Caucus threatened massive protests against “discriminatory practices” if the IRS pursued the issue. At that time, Democrats were in the majority in the House and the Senate and thus controlled the committees, so no investigation was ever conducted. But did Republicans undertake to clean up the mess when they gained the majority in the 2010 election? No. There is no evidence the problem of tax fraud by illegal aliens is something the IRS cares about. A December 2014 report by Watchdog.org revealed that an IRS audit documented a 24 percent error rate in claims made under the EITC — a loss of $14.2 billion in unlawful tax refunds in the year 2012. A similar audit of the Additional Child Tax Credit program in 2012 revealed erroneous payments in the range of 25 percent to 31 percent. But did the audits result in corrective actions? No. Adding all of the fraud rates together from three separate refundable tax credit programs suggests total tax fraud in the realm of several billion dollars. Of course, not all of the fraud is by illegal aliens. But the lack of IRS interest in curtailing illegal alien abuse of these tax credit programs tells us the problem will only get worse in the years ahead. Let’s add the shameful, willful taxpayer-funded philanthropy toward illegal workers to the many reasons why IRS Commissioner Koskinen should be impeached and a new management team put into the agency to conduct a thorough house cleaning. What are the odds of that happening under President Hillary Clinton? Or President John Kasich? The criminals, including the FBI director Comey must answer for their heinous crimes. All Democrats are guilty of the same, riding the criminal wave of usurpation, they are guilty as charged. The Republicans cannot escape this purge, they too are guilty of crimes against law abiding citizens. Their worst malfeasance is giving Obama everything he asked for. What brings us to this conclusion one has no further to look than Hillary Clinton who believes she is above the law. And the government is condoning her criminal behavior. It is time to Jail the Bird. They went after Alphonse (Scarface) Capone for income tax evasion, what Hillary did is a thousand times worse and yet no indictment. Why? A revolution is the only solution. Take the criminals running the IRS, Koskinen a liar first rate has participated in a vast cover-up targeting the TEA PARTY. Lois Lerner got her orders directly from the White House.Clinton’s Benghazi’s story has changed so many times, she doesn’t know what the truth is. The Department of State is also complicit in Clinton’s criminal behavior; they have not produced the lost emails in a punctual manner; these 15,000 emails that Hillary failed to turn over to Congress. Additionally, the pay to play scheme was a criminal enterprise authored by Slick WILLIE and his criminal wife. This is in violation of the RICO act. Where is the FBI on this? The good news is the latest poll which has Trump gaining ground, down now by only 5 points compared to 12 one month ago. But don’t take polls too seriously, they are skewed in many cases by interview bias. Just ask Eric Cantor about that one. Eric Chaffetz is leaving no stone unturned as he purses IRS Commissioner who lied under oath, Koskinen. The chairman of the top House investigative panel introduced a measure Wednesday to censure IRS Commissioner John Koskinen — and remove him from office without a pension — in the latest bid by Republicans to pressure him into being more cooperative in their probe of the 2013 IRS targeting scandal. If censured, Koskinen, who became commissioner in 2013, would also forfeit his government pension and other federal benefits.